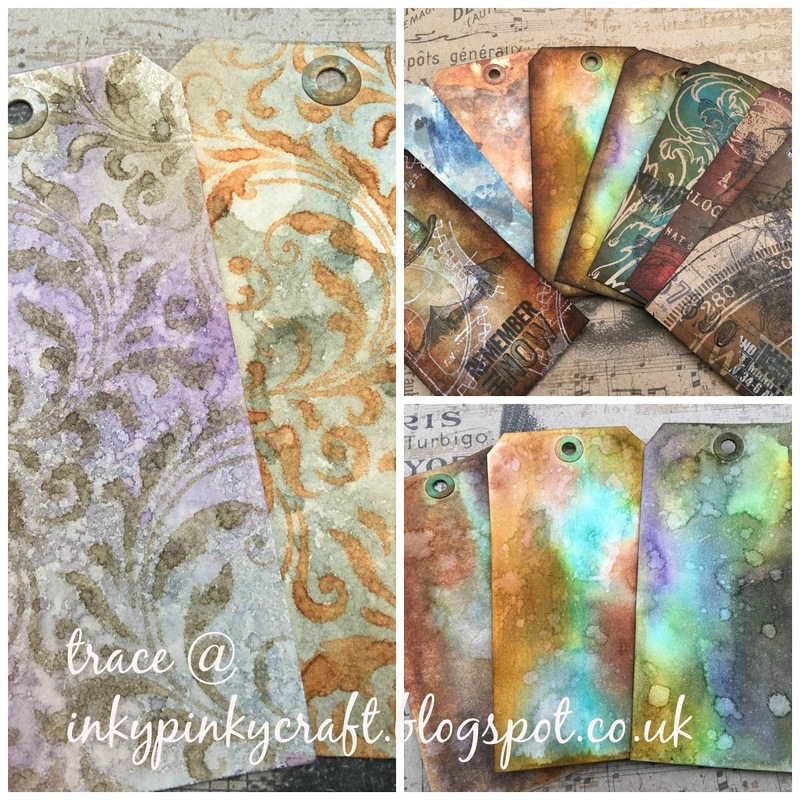 So here are the results of the tag ... using crackle paint resist and also shattered stains... there are some more shattered stains here in part one ...of week three . I used the shattered stains technique...and I brushed this with perfect pearls..it looks super shiny ...but is hard to photograph.. 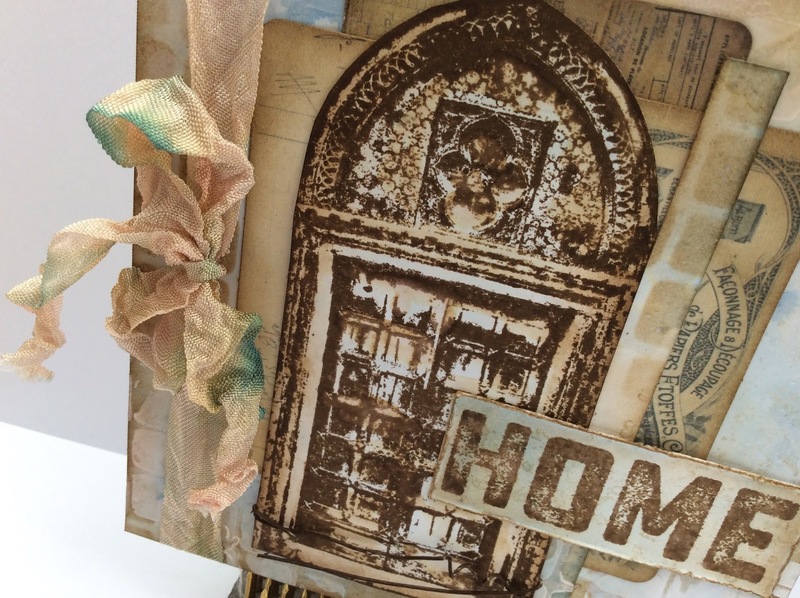 I finished with mini staples and film strip and idea-ology and tissue tape. I added some tied seam binding at the bottom of the tag .. 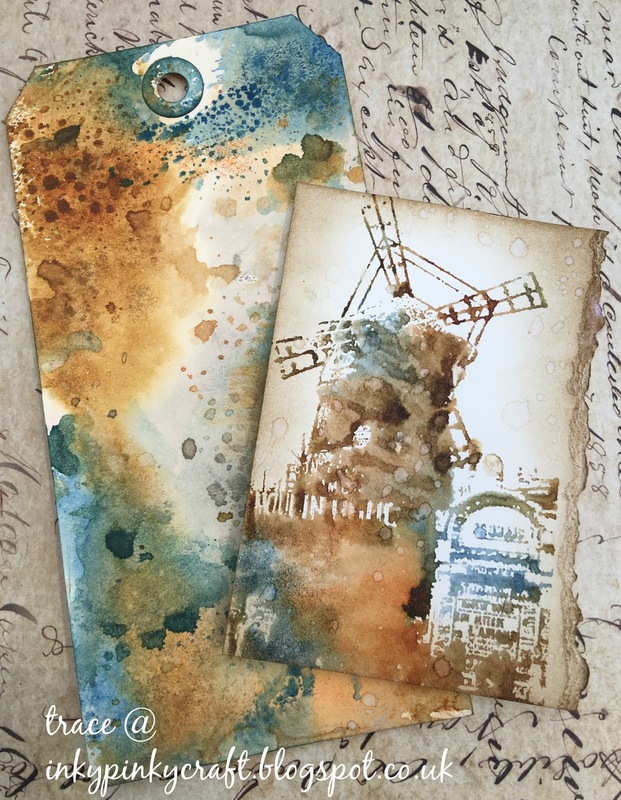 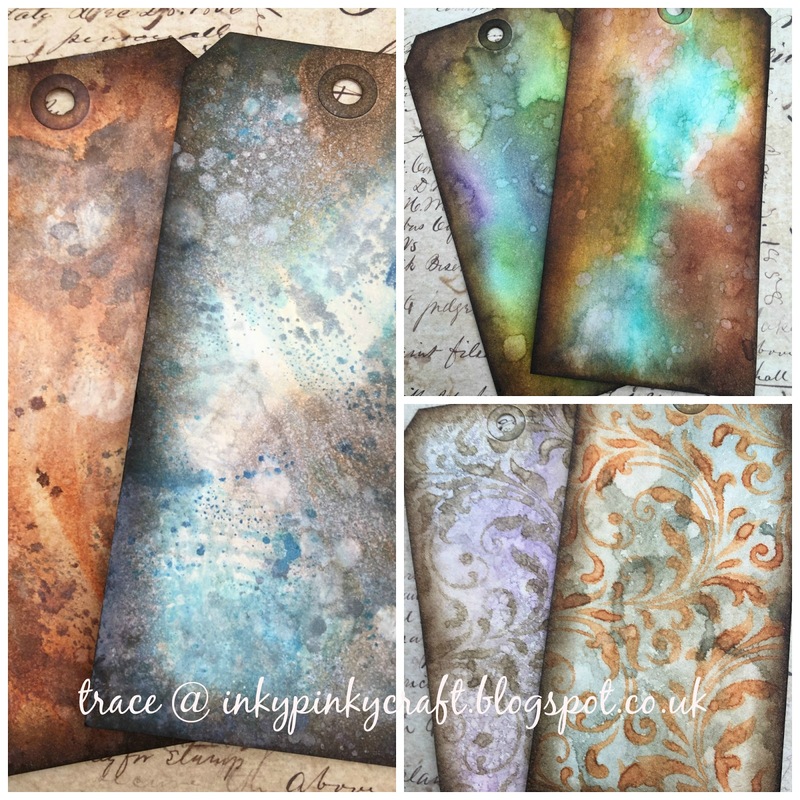 These used perfect mist distress technique and also perfect splatter technique .. the stamped background uses ...perfect distress technique . 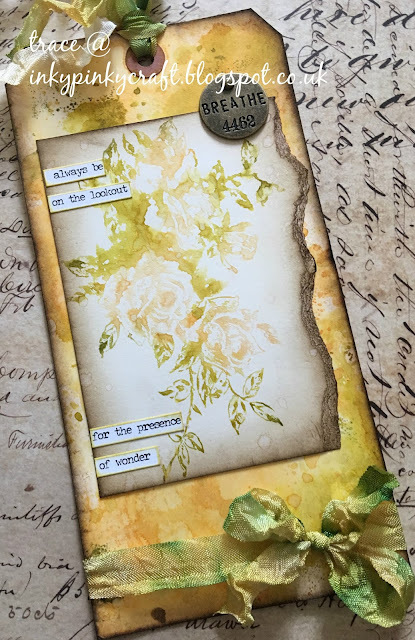 I created the background using perfect pearls and the effect is fab , but hard to take photos! 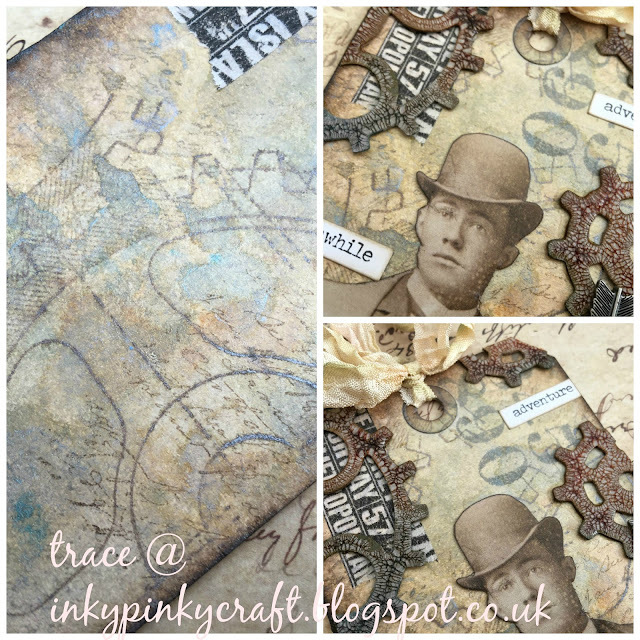 here are some close ups .. 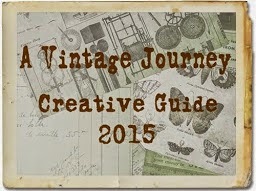 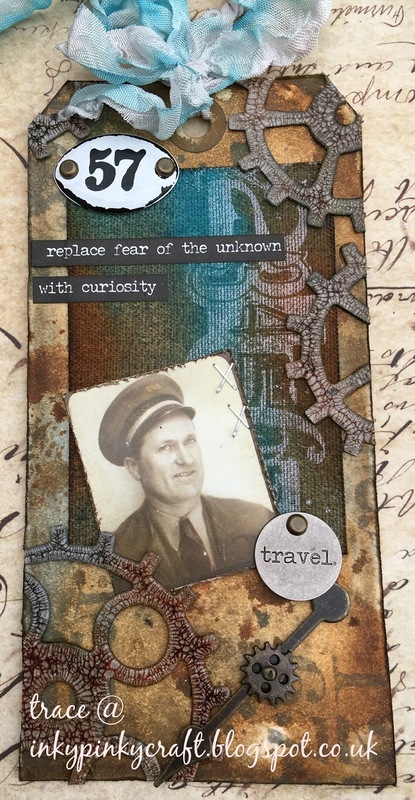 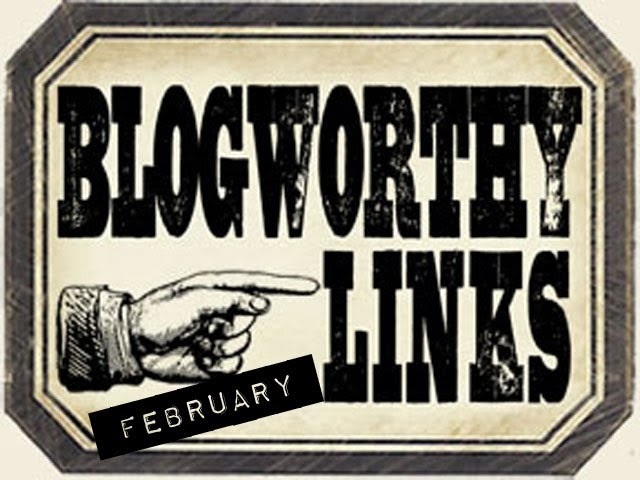 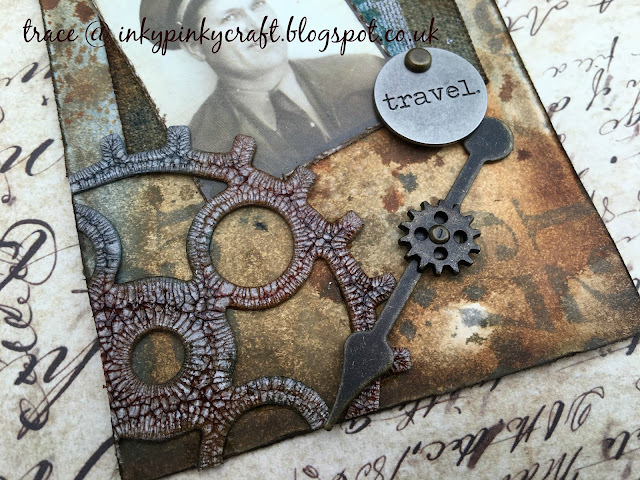 I added one of the fab found relatives , some idea-ology and rusty wire .. 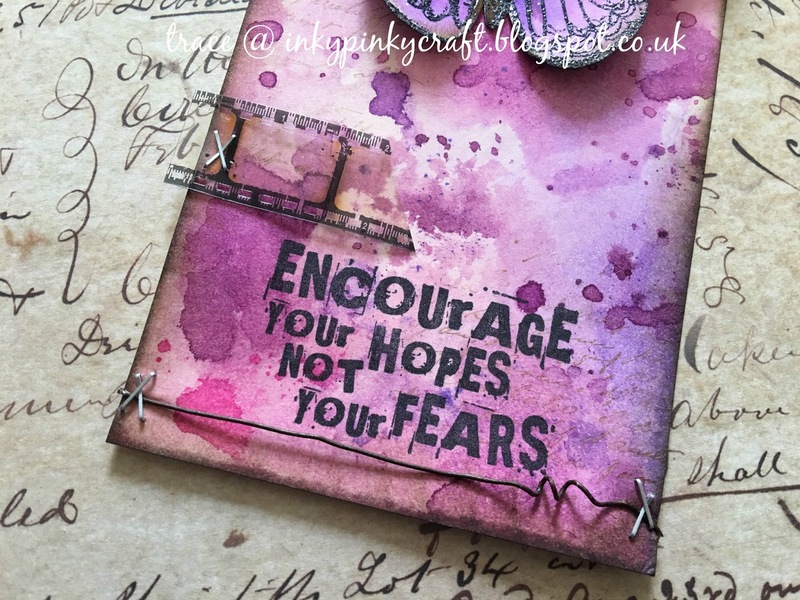 I added some seam binding.. to the top of the tag ..
the paint resist on canvas .. 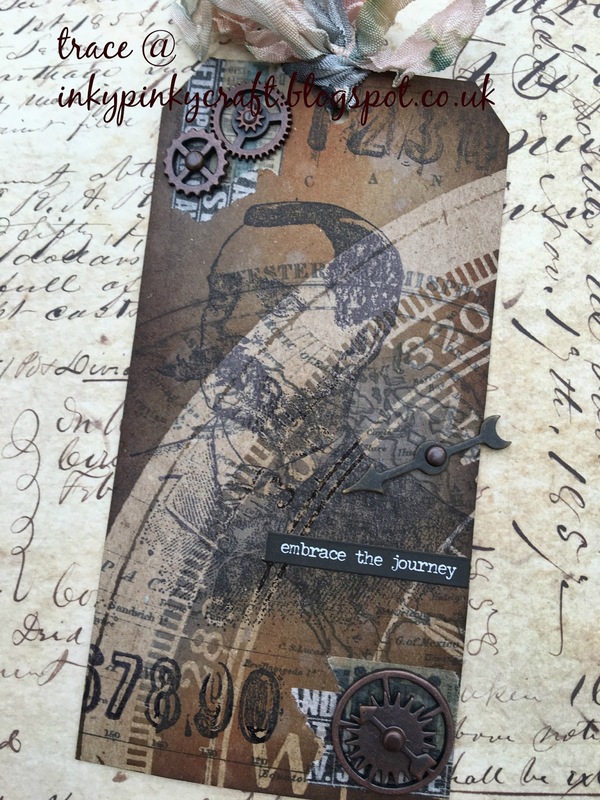 I added a photo booth and some idea-ology .. 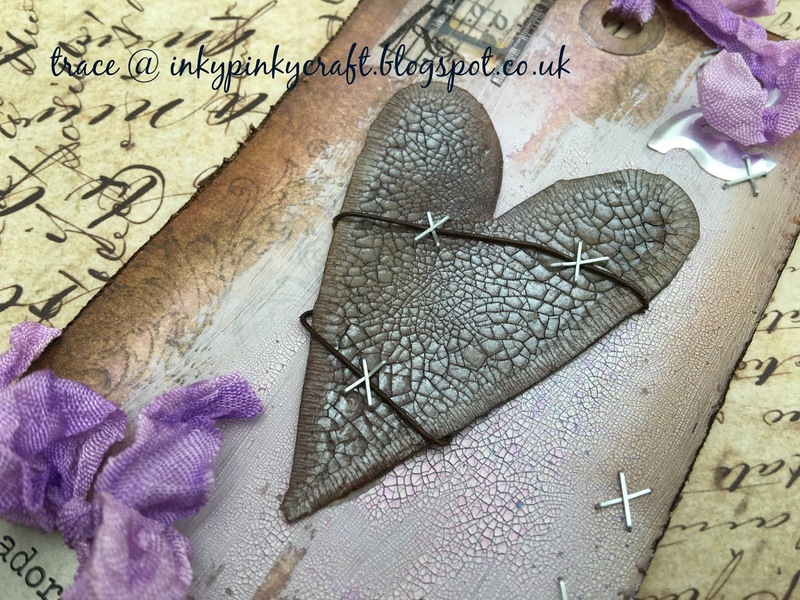 I added some dyed seam binding.. 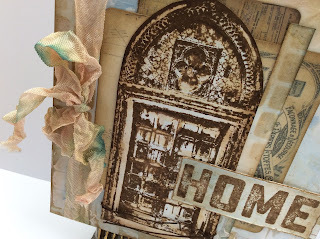 Here is the details of the canvas section..
be back tomorrow with the results of the rest of playtime..
Well it is my turn over at Country View Crafts again and my project can be found in full here ... For this project I have used the same Paperartsy stamp set , that I used for the home sweet home bunting , that can be found here . 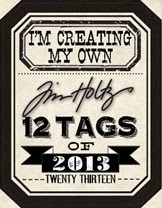 if you would like to see the results of part one - please hop here , week one can be found here and here . now for couple more backgrounds and the finished tag can be found below ..
a little more idea-ology , a girl can never have enough , right? 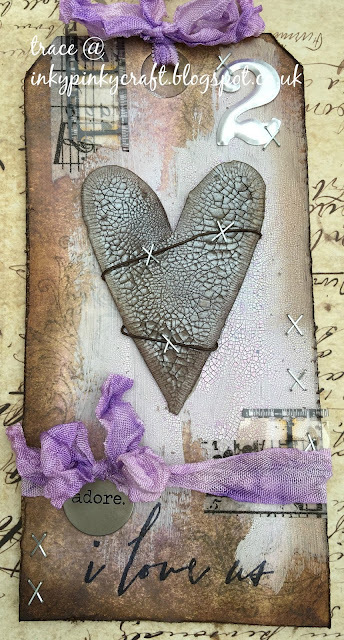 and here is a close up ...of the coloured image .. 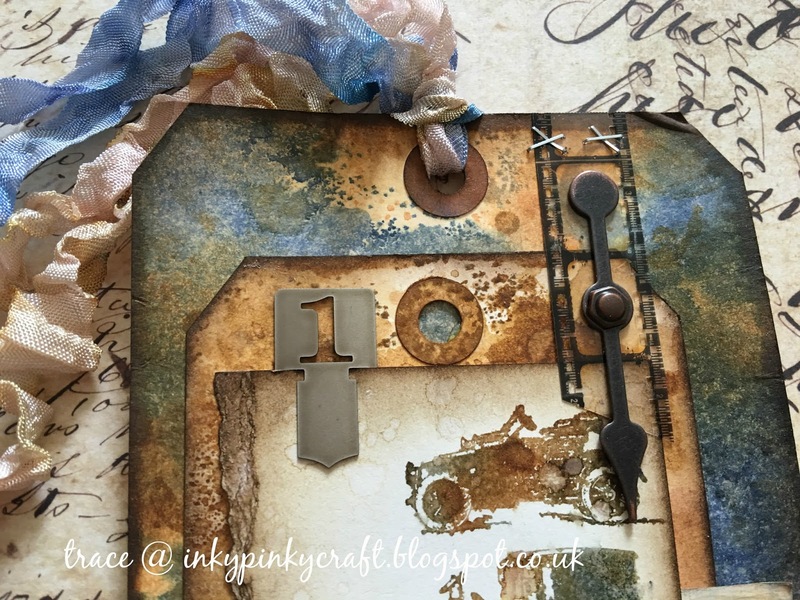 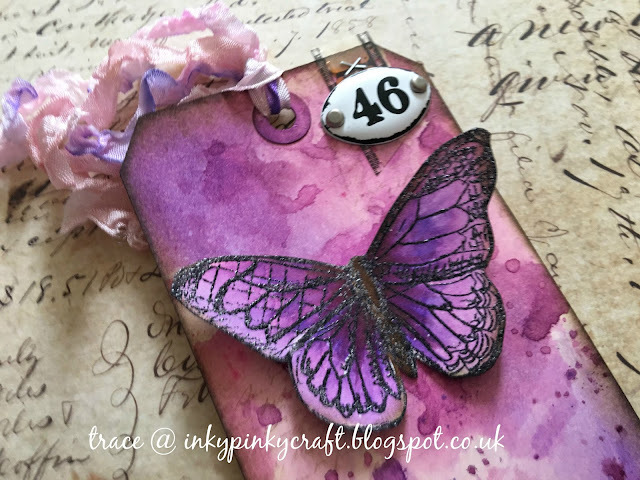 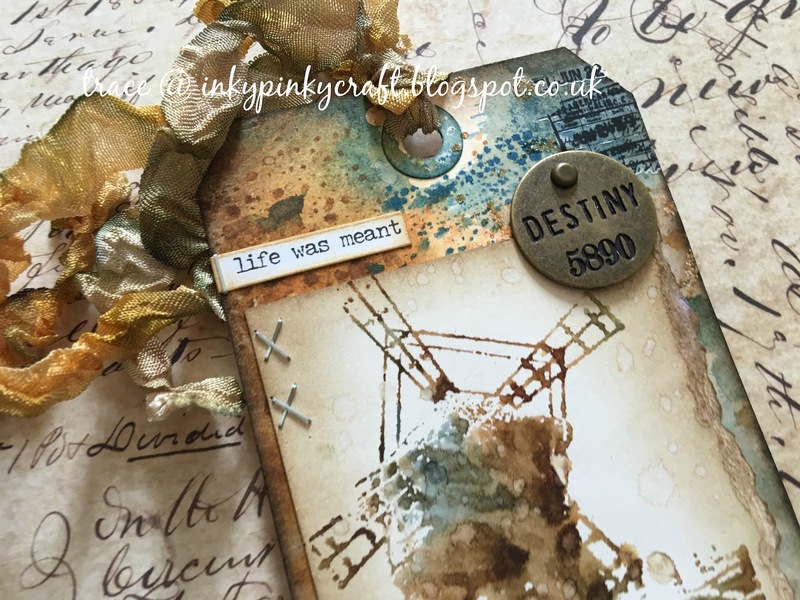 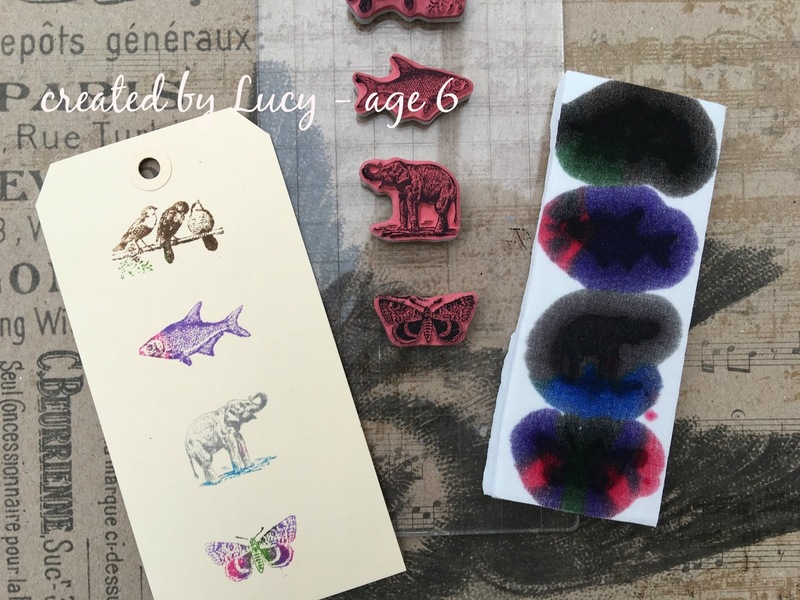 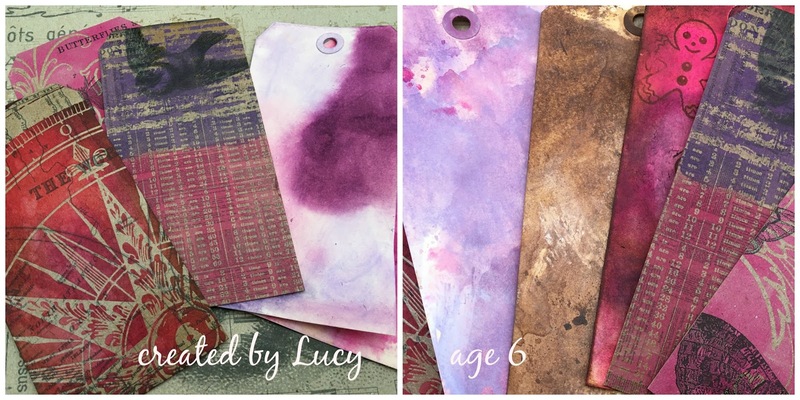 This tag ... uses stained kraft resist... but maybe I need to take a leaf out of my little Lucys book and bolder with my colours ? 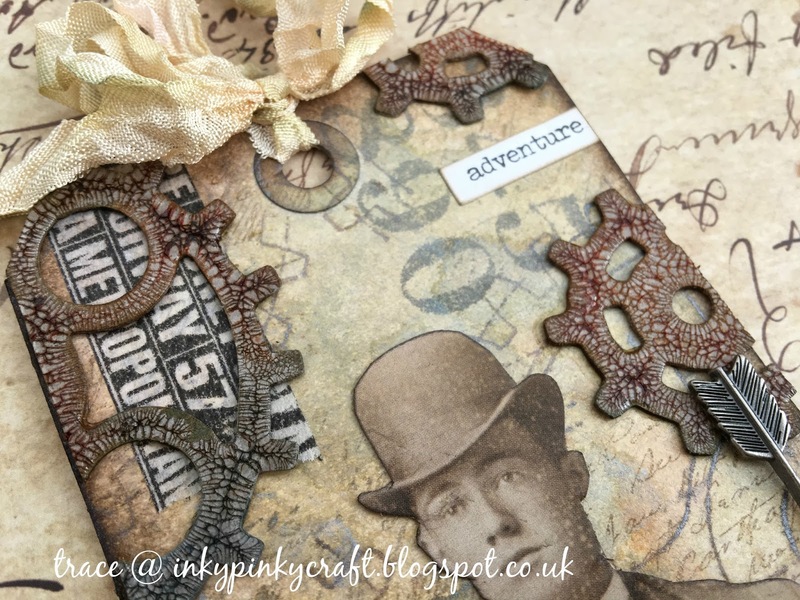 I added some stamping and some ...dyed seam binding at the top ...and some mini gears ..
Well I am signed up and raring to go for Creative Chemistry 103 - and there is also a Summer School and I have to say I am loving it!! 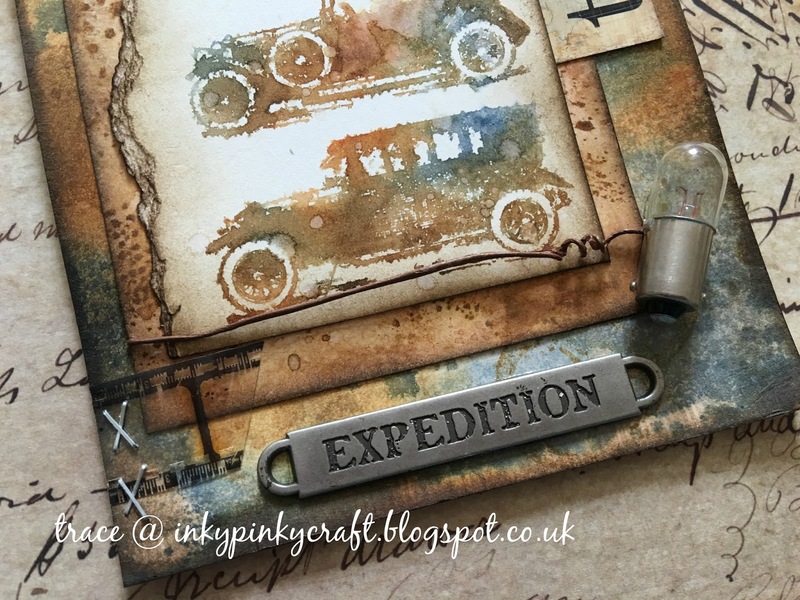 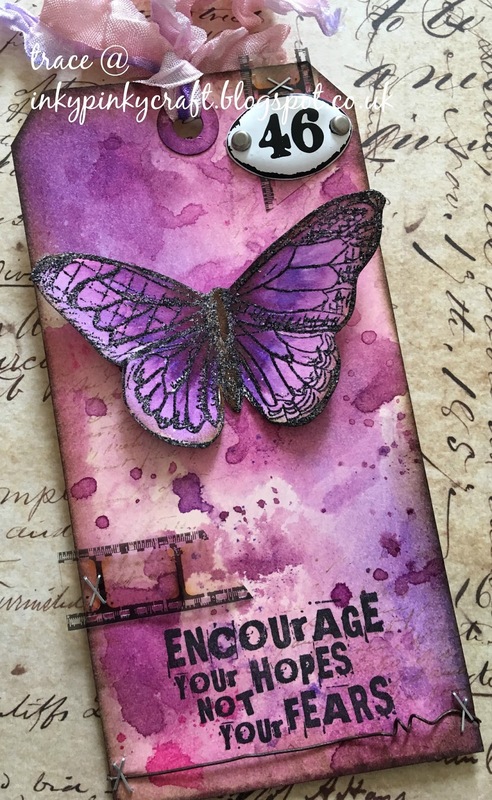 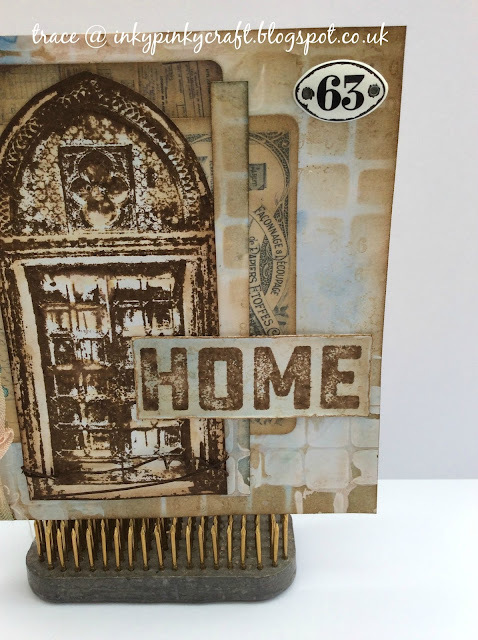 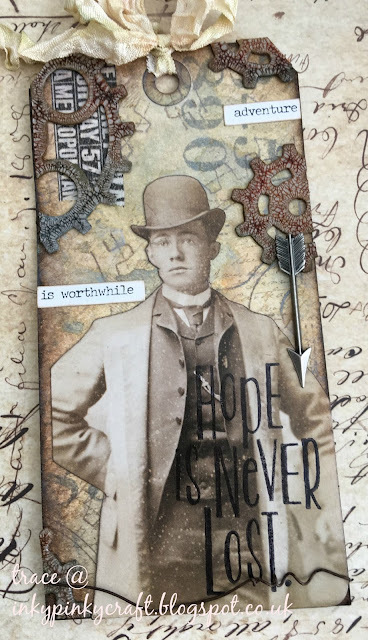 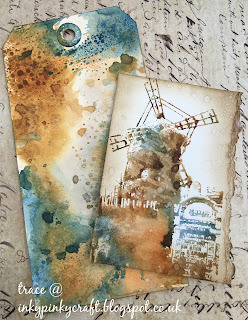 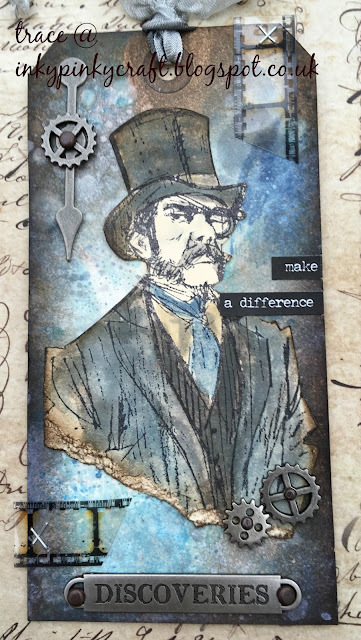 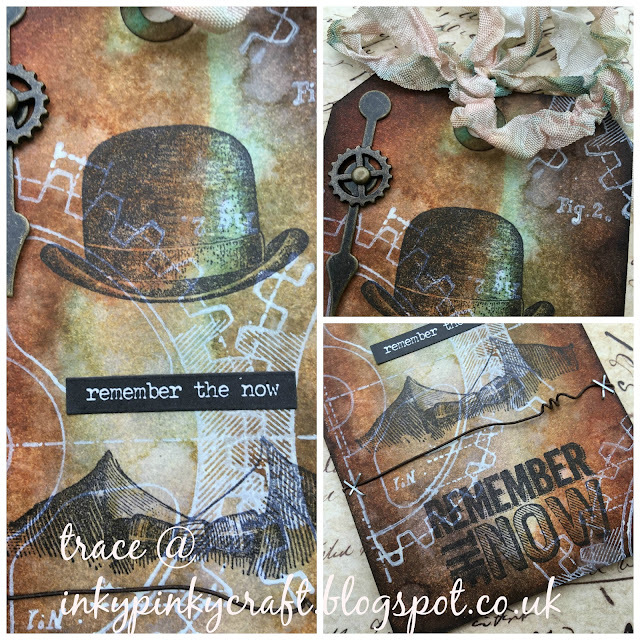 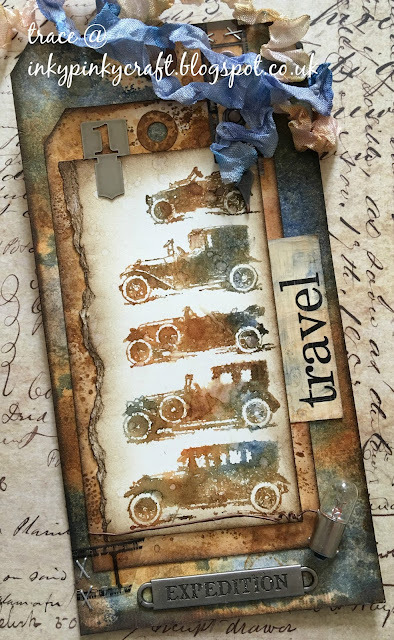 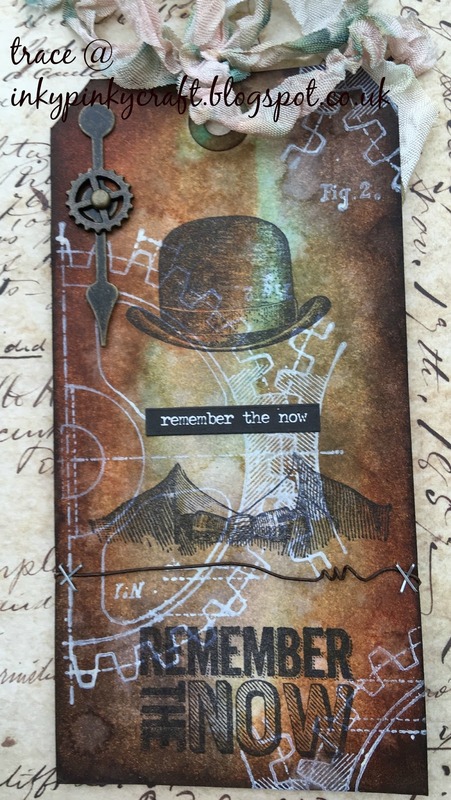 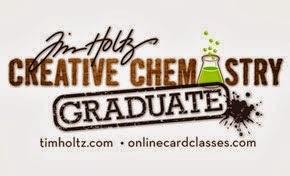 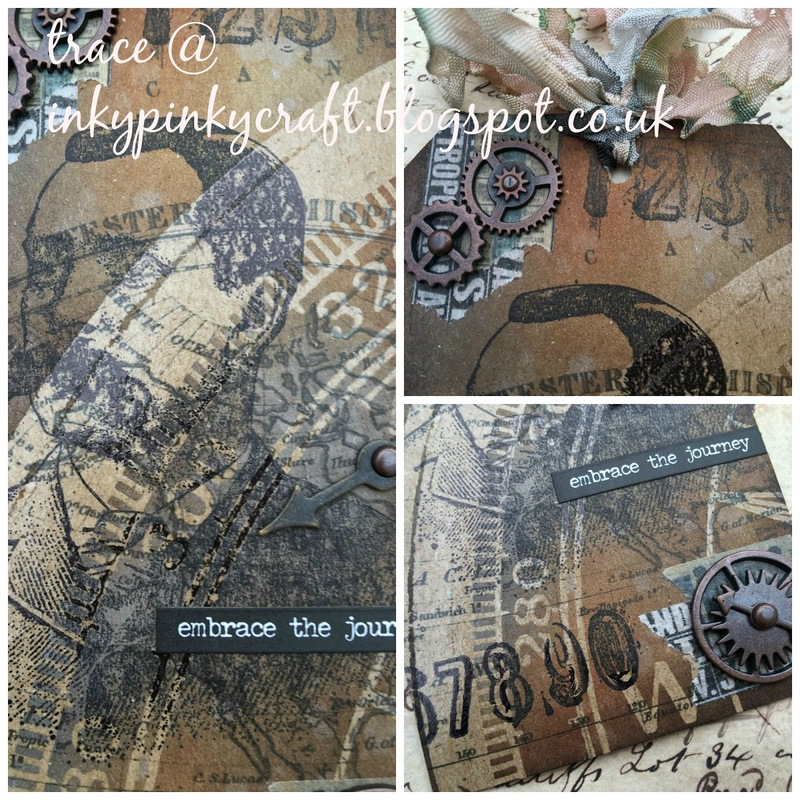 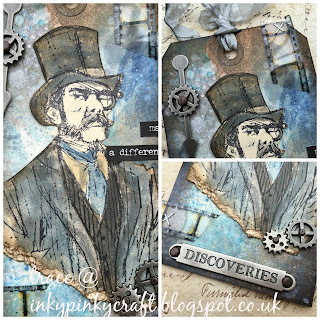 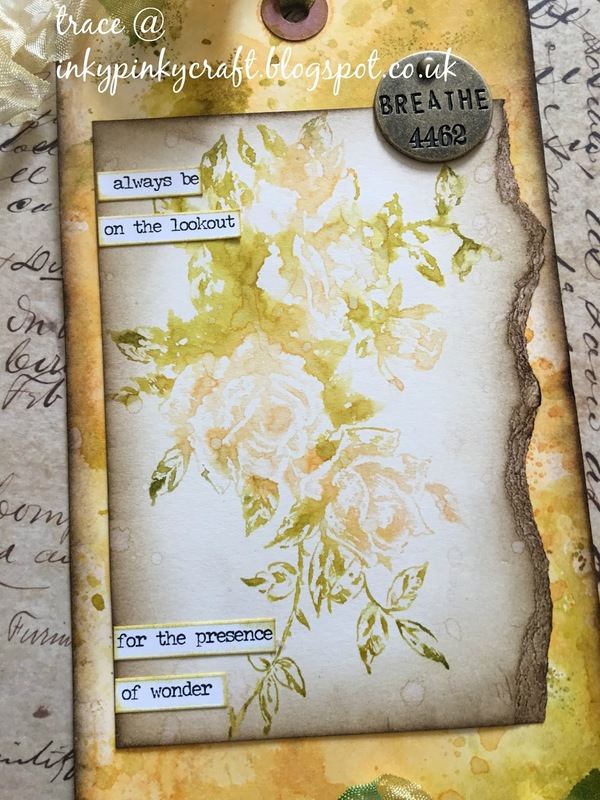 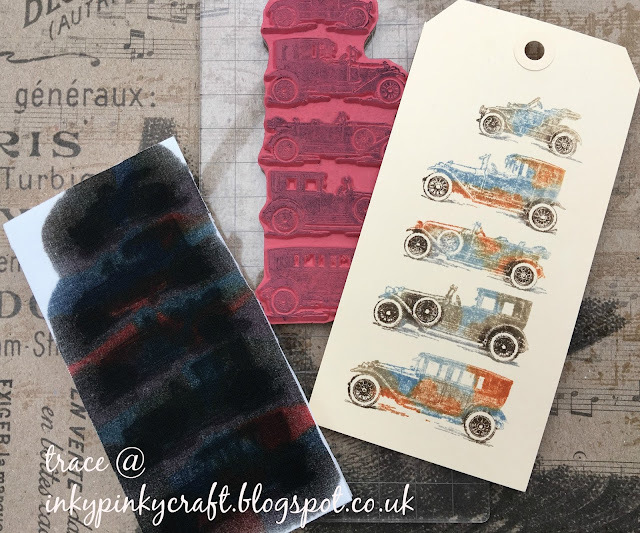 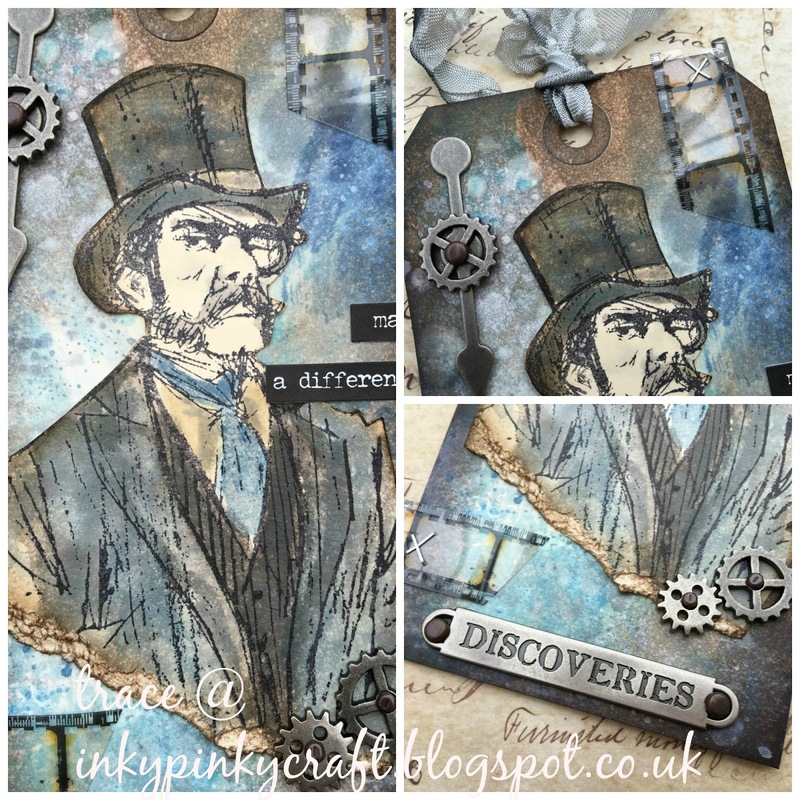 As many of you know , if you stop by here often, I love Tim Holtz and all his yummy products and use them nearly all the time .... but I am loving re-discovering some of these products ..... or reminding myself of how much fun they are . So here are some of the backgrounds created using stains and sprays made from re-inkers..
here are some of the elements from the tag.. I added some seam binding to the top of the tag.. I think she did an amazing job!! 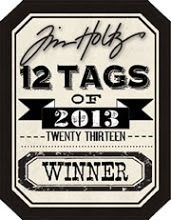 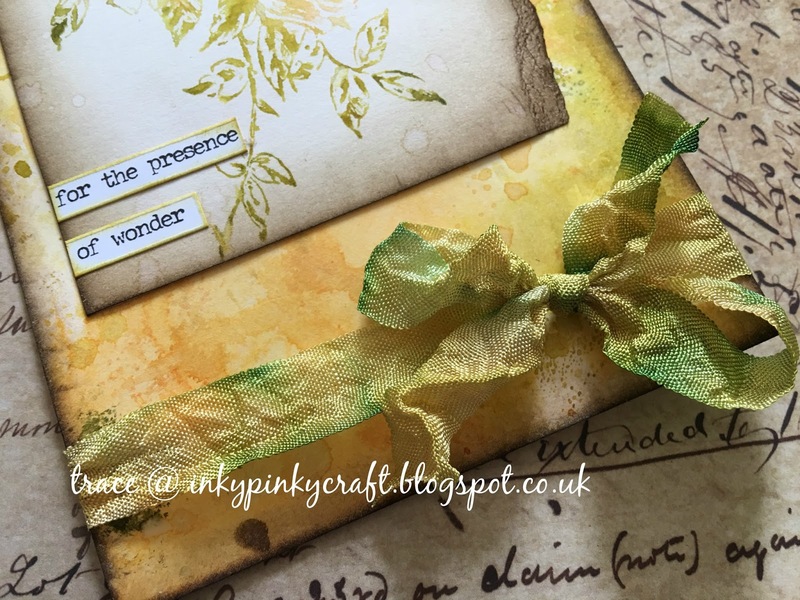 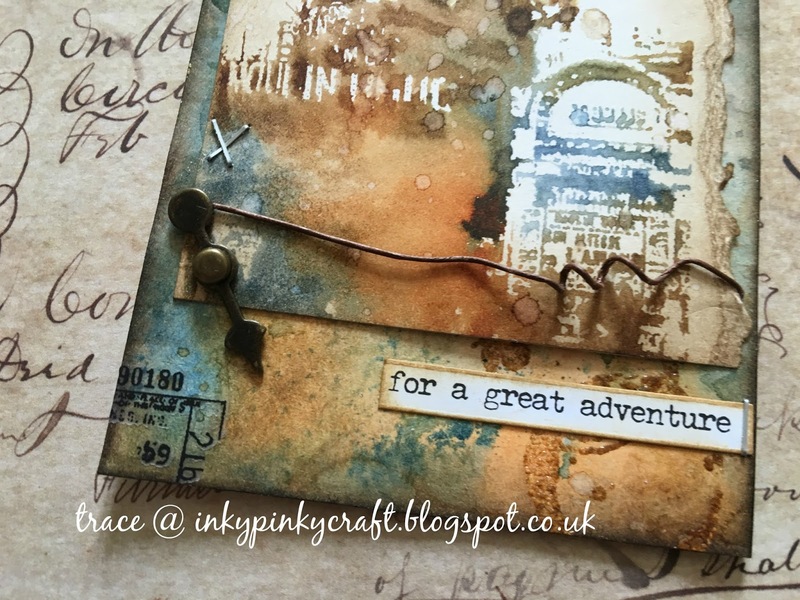 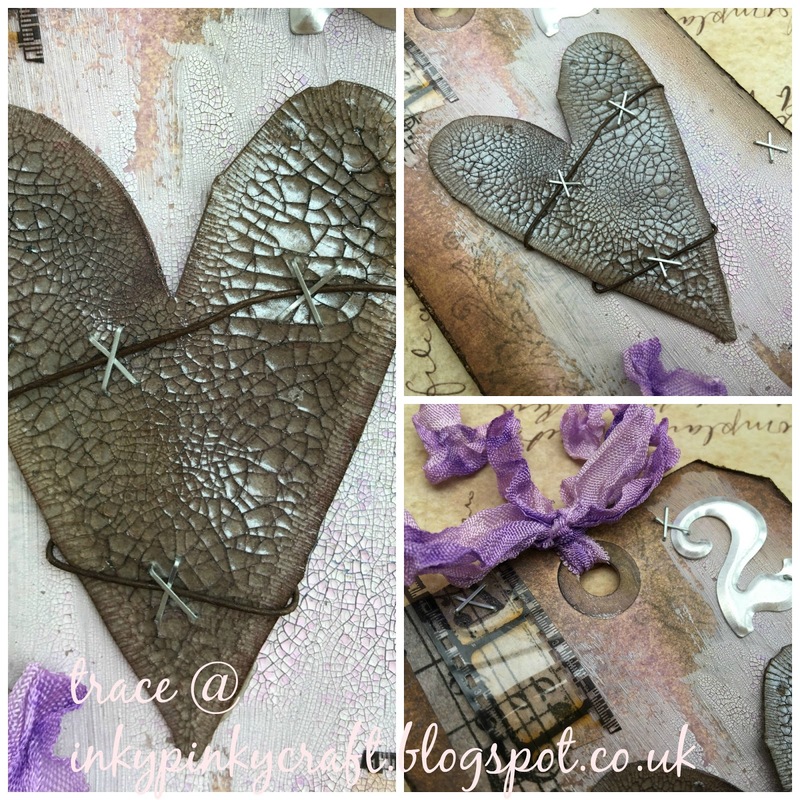 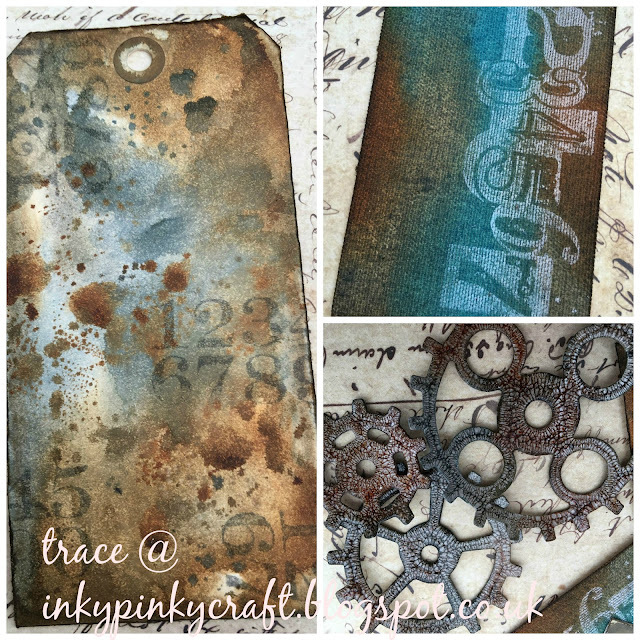 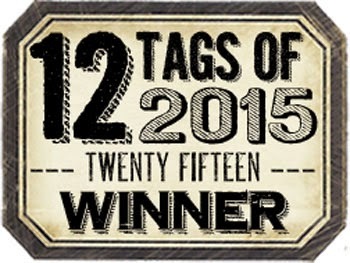 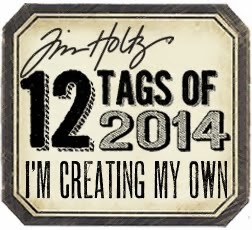 So here is the finished tag and yesterdays using same colour palette can be found here .. 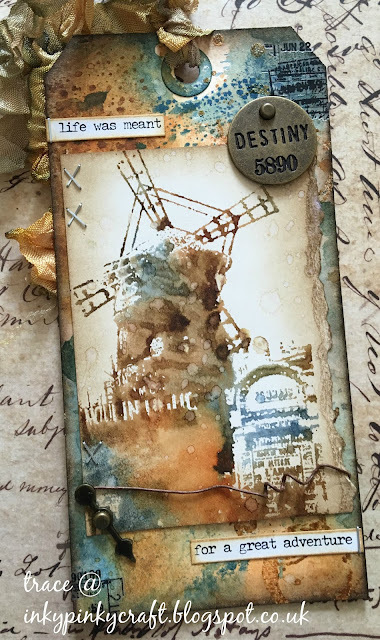 Here is a close up of the detail of the top part of the tag ...I added a sticker and some stapled detail..
for the bottom part of the tag I added some twisted rusty wire.. 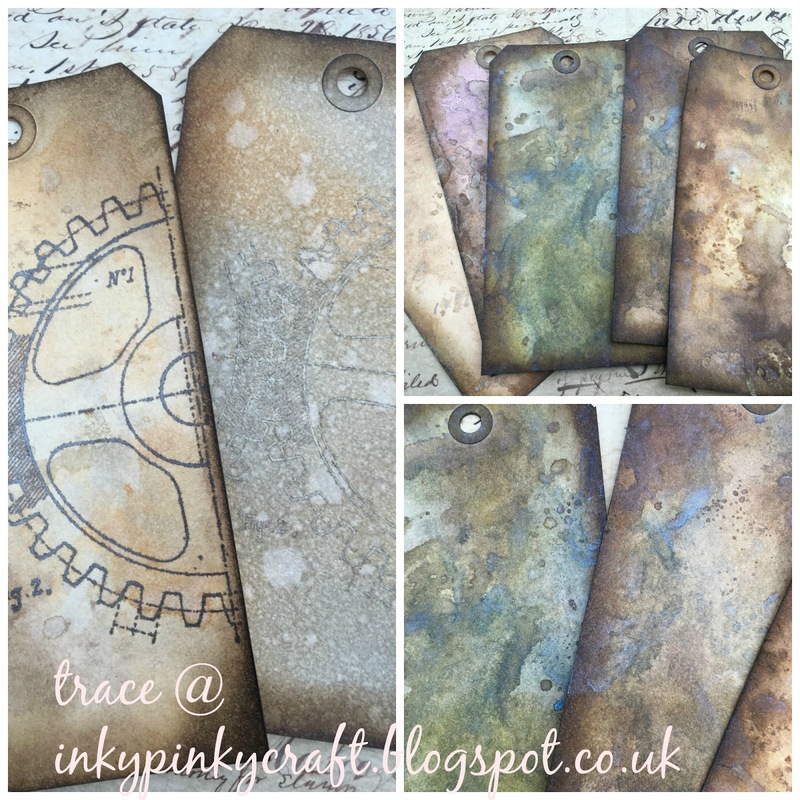 I layered two tags , one larger and one smaller ...edged with ground espresso..
and added some stamped detail.. 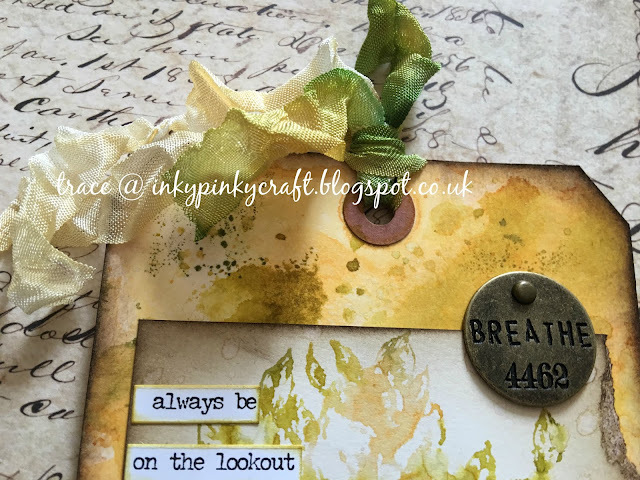 I added more idea-ology and some dyed seam binding..
using some brighter summery colours ..
here is a close up of the tag .. 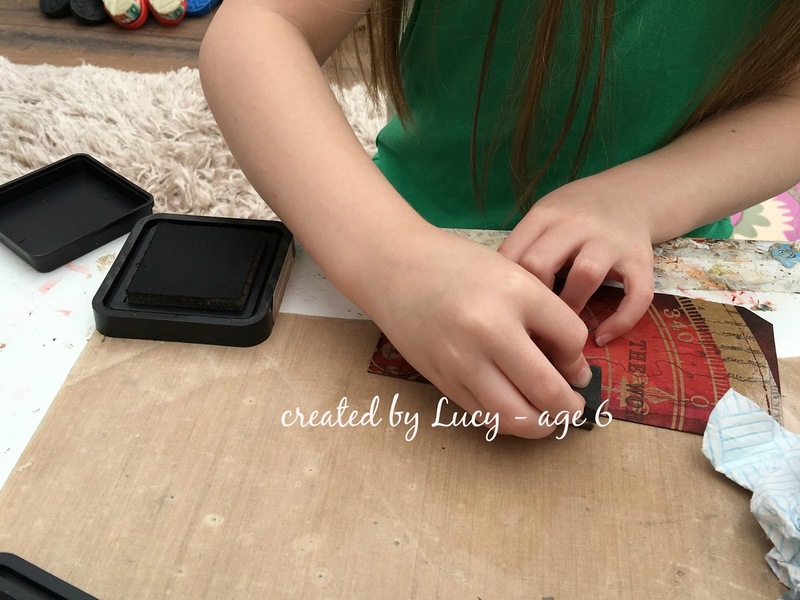 I am loving playing ! !